Stay overnight in the village centre at our calm country house bed & breakfast “Kräutermühlenhof” by Burg’s beautiful gardens or at our comfortable holiday homes “Spreewälder Auszeit” in the outskirts of Burg. All 15 rooms of our country house bed & breakfast have a toilet, shower, flat screen TV, WiFi & refrigerator and are situated next to Burg’s beautiful gardens. 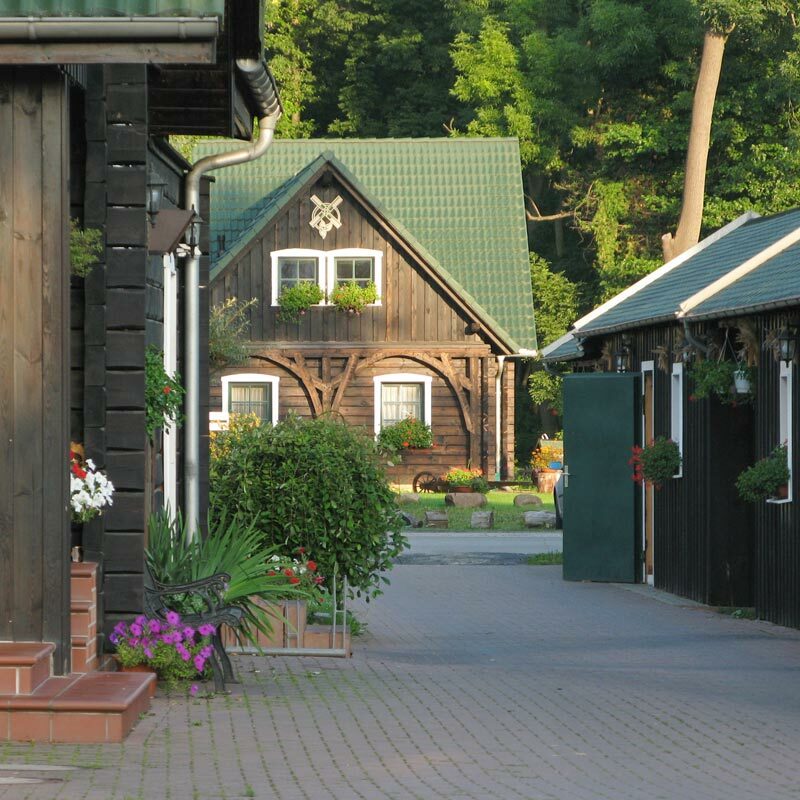 The port Spreehafen and the Spreewald thermal spring are within walking distance. Bicycles and cars can be parked in front of our bed & breakfast. We are happy to book punt tours, canoes and visits to the thermal spring for our guests. Unfortunately, our guest house is not suitable to host pets.